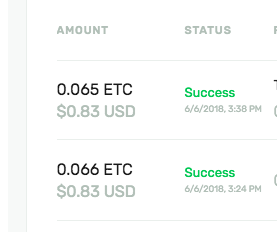 ETC Difficulty Bomb Difusal Fork in May 2018 added support for geth_getAddressTransactions API. This is a significant addition because users would typically backtrack through each block or spent significant time on a block explorer. Improved speed of toggling between node types. Keep in mind that this software may have access to sensitive financial data, and many hacker groups are trying to compromise your security. Please make sure you verify the downloaded binary with PGP/GPG. First, make sure you have a gpg tool installed, eg. gnupg or gnupg2. Then ensure you have imported the signing signature. ETCDEV and ETC volunteer PGP keys are available here. 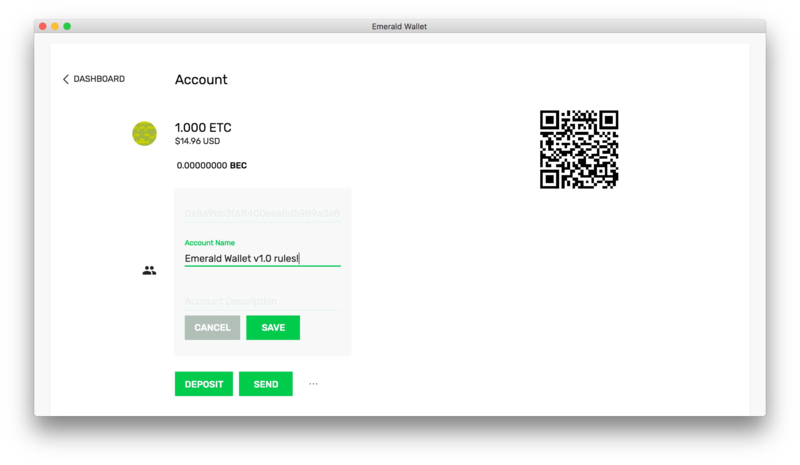 The Emerald Wallet is an Ethereum Classic Wallet part of a broader project known as the Emerald Platform. All releases of Emerald Wallet can be located on Github. 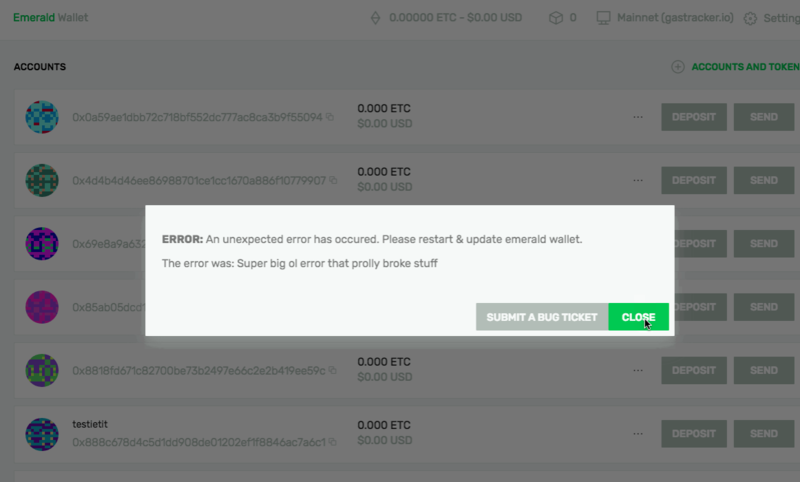 See Getting Started with Emerald Wallet for more info. Disclaimer: Please do not keep or transact more than you are willing to lose, and please be careful. 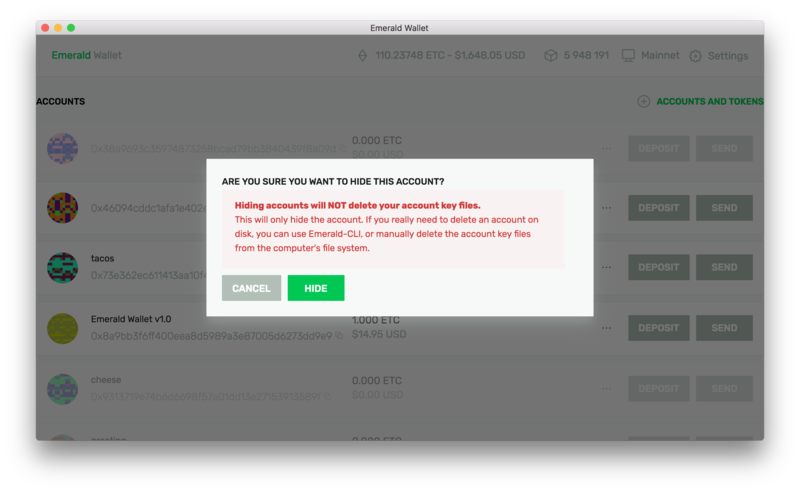 Please use a hardware wallet such as Ledger Nano S together with Emerald Wallet. If something were to happen, we are sorry, but we are not responsible for any lost ETC. We are extremely grateful to the many volunteers and members of our community for their ongoing contributions.